On 6/19, Sean Spicer had a "press briefing" in which he didn't allow reporters to record the questions using audio or visual recording equipment. This instance is yet another example of the Trump White House trying to interfere with a free press that holds our politicians accountable. The media has the right to ask the White House questions and to be able to show the White House's answers to these questions to the public. While it's probably more convenient for the administration to deny saying certain things when recordings don't exist, that doesn't not make for a more transparent, reliable government. 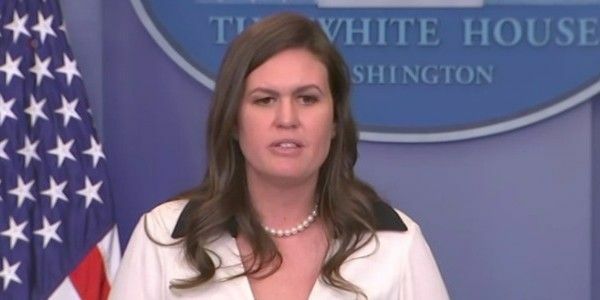 We demand that Sarah Huckabee Sanders keep press briefings both frequent and on camera. Sarah Huckabee Sanders has been appointed White House Press Secretary following news that Sean Spicer has resigned. We must ensure that Sanders respects a free press. Please share this petition so we can continue demanding frequent and transparent press briefings.